The PROFESSIONAL VIGILANT APP is ideal for a complete management of the operators that are off-site in the different work centers allowing to take control over them and to improve in productivity. The App works with NFC technology and sends the information in real time to the web platform automatically. 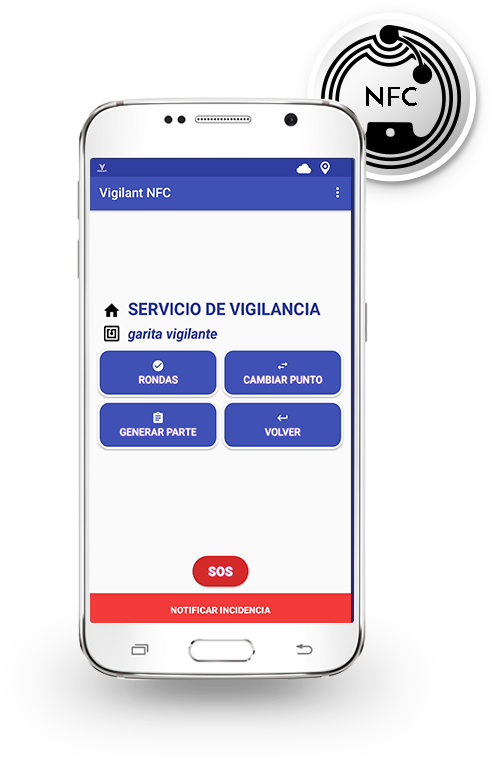 The operator just has to bring the NFC mobile to the labels placed on the different customers to make the markings, it also allows the management of incidents with photo, gps route of the employee, parts of work, planning services and generates alarms for non-compliance with them and much more.